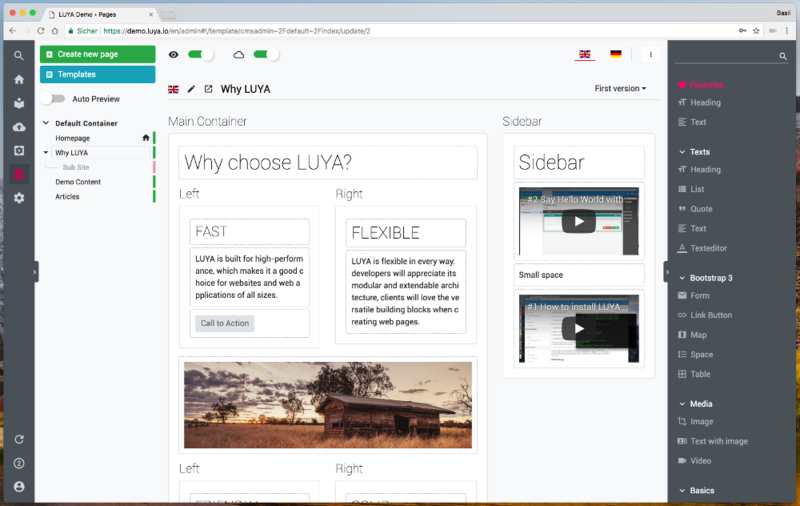 Today, after more than two years of development, we are proud to announce the release of version 1.0 of LUYA. Along the way to this milestone, the system has seen 6'500 commits, 16 alpha releases, 8 beta releases and 4 release candidates. 35 developers have contributed to the source code and provided translations for 10 languages. LUYA has been downloaded 79'565 times (over all modules) and has been used for more than 100 web projects (we know of), some popular high-traffic websites among them. But more important than looking back is looking forward to the further development and adoption of LUYA and the growth of its community in the months and years to come! Why use LUYA for your next web project? Give LUYA a try! We provide kickstarter repositories as well as a an online demo. 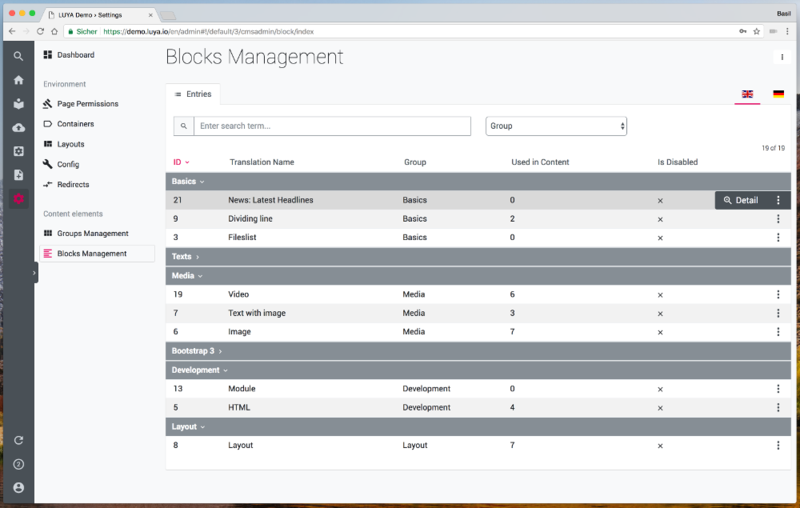 LUYA 1.0 includes common content blocks and widgets that are available in two flavors as separate repositories: generic and bootstrap3. Complement these with your own specific blocks and widgets. Please check the full Changelog and the Upgrading Guide where you will find a list of all breaking changes. If you have any problems or questions regarding the upgrade process, don't hesitate to create an issue on GitHub.